New to the Travel Magazine Database? The Travel Magazine Database is not a giant rolodex. It’s a database that provides detailed, curated information how to pitch information on more than 500 magazines so you can get paid to write. → In order to earn more money as a travel writer, you need more assignments. 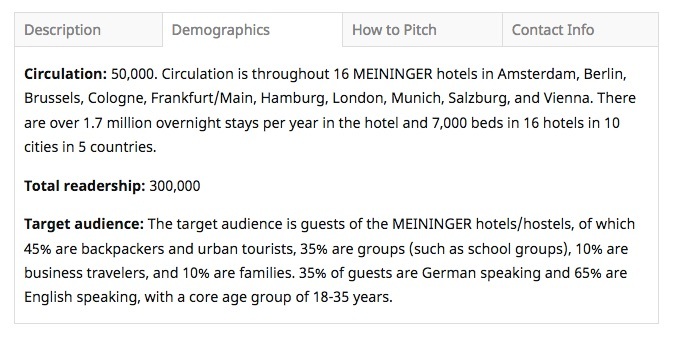 → In order to land more assignments, you need to pitch more often to more outlets. …and that’s exactly what the Travel Magazine Database provides. Looking for registration? Members log-in: click here. What’s the Travel Magazine Database? Make your hours count and spend them pitching and writing, not researching. “It’s a no-brainer; you need to get your database. There is nothing else out there like it. If you want to hit $1,000 per month, or $3,000 per month, or $6,000 per month, or even $10,000 per month writing travel articles you can. All it takes is consistently sending out solid pitches. Imagine if all you had to do was log in, search, match and pitch. The trick is getting targeted with your ideas and pitches, and pitching a lot. But it doesn’t have to be time-consuming. Are there additional opportunities to pitch the magazines online section? When to pitch for the best outcome and other commonly asked questions! BONUS Worksheets – including how to match your idea to a magazine! Learn how to get multiple assignments from ONE trip so you can make the most out of your travel agenda! The most successful travel writers don’t limit themselves to one article per trip, and neither should you. We’ll cover sample itineraries and how these translate into article ideas and pitches. Before you send a pitch or even worry about matching your idea to the right magazine, you want to make sure your idea is saleable. This webinar will take you behind-the-scenes of the business of travel writing, so you can nurture the ideas that are most likely to sell. Ever wonder what you really have to do in order to get an assignment? The answer? PITCH! And not just MORE, but BETTER. The best way to devise pitches is to know what magazines are looking for first, and shape how you filter the memories from your journeys around what the magazine wants. This webinar will walk you through the landscape of travel magazines so you can improve your pitching – and therefore your success rate! All totaled, the Travel Magazine Database and Bonus Bundle is valued at well over $10,000. That’s a ton of money! Right? But we’ve spent more than that on magazine acquisitions, researchers, and writers to create this resource for YOU. It can take anywhere from two to five hours to analyze EACH magazine you’ll find in the database. We’ve already got more than 500 magazines in there and we add NEW MAGAZINES every week. A membership like costs publicists more than $3,000 a year for the most basic version with just one licence. And those databases don’t even include the type of in-depth how-to-pitch information we have, with instructions on how to pitch each individual section of the magazine. Your investment is only $20 per month. That’s it. “These seem like great, easy-to-pitch pieces that don’t necessarily always require a ton of prior travel. There are so many awesome indie travel magazines out there! I had no idea that so many of them were looking for first person narratives as features! Before the database, I had no idea there were so many AAA-affiliated magazines. So many of them have “Weekender” type sections with small to larger itineraries for locations both within and outside of the specific magazine’s area of focus. These seem like awesome opportunities to share the communities I know well with a variety of different geographic audiences! And even though I love writing about local food and craft beer, it never occurred to me to pitch that type of “travel” content to a magazine like bon appetit, Lucky Peach, or one of the edible city-specific magazines. Duh. I also noticed quite a few publications that had “Here and Now” and “What’s Hot” type sections specific to travel trends or timely issues. These seem like great, easy-to-pitch pieces that don’t necessarily always require a ton of prior travel. There are so many wonderful magazines in the database that I can’t wait to keep digging and start thinking through how their sections and themes could be good fits for what I’m already doing. 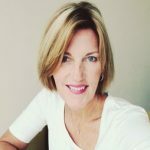 The Travel Magazine Database was founded by Gabi Logan when she realized that travel writers needed a resource that would help them approach editors (and their career) more strategically. 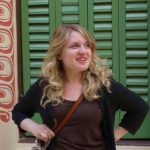 Back in the early 2010s, Gabi was a successful travel writer herself and, while attending conferences, she found that people would sort of freak out when they heard that she was making good money writing about travel full-time for (mostly) print magazines. 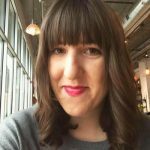 She would constantly get asked for advice and wouldn’t know where to point people — mostly because there was lots of great information out there, but there wasn’t ONE comprehensive resource that covered all the bases. After finally getting sick of not being able to hand them ONE solution, she wrote her book The Six-Figure Travel Writing Roadmap and created Dream of Travel Writing, a company committed to helping travel writers build the career of their dreams. Dream of Travel Writing teaches the nitty-gritty reality, craft, and business of travel writing with free articles, paid trainings, and low-cost resources. 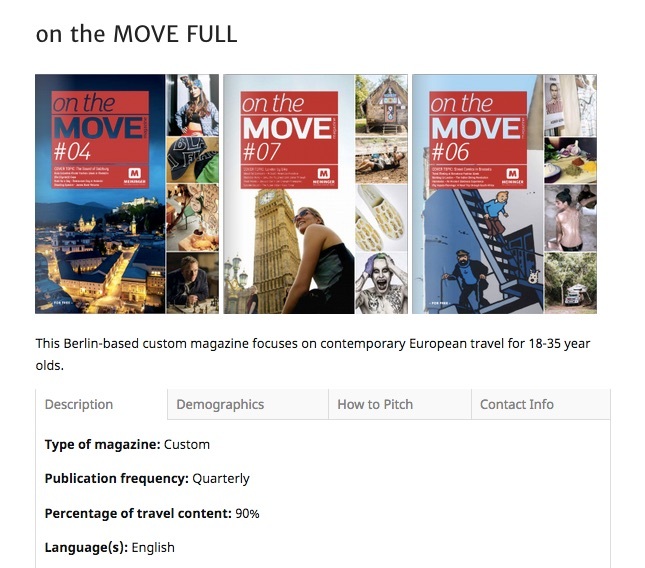 So the Travel Magazine Database was born as a bridge to connect magazine editors with travel writers by giving writers exactly what magazines are looking for, and how to pitch for a yes. 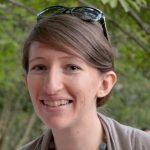 Gabi continues to attend nearly 40 conferences per year, and speak to hundreds of editors. She is constantly expanding the network in the database to make sure that it has the most up-to-date industry information possible. If you’re serious about getting paid for your travel writing, this database was made for you. When you join, you’ll be billed for a monthly membership (unless you choose to pay in full for the year and save $40!). Your login details will be sent to you via email and you’ll receive immediate access to the Travel Magazine Database! You can get to searching, pitching, and writing – right away! Totally get it. We all start somewhere. That said, this database has all of the information you need to go pitch yourself for assignments that will pay up to $3,000, and sometimes more, depending on the magazine. There is nothing else like this on the market that will make pitching for a “yes” easier for you. If you’re ready to take your travel writing career seriously, this database is a necessary part of the puzzle. The question is… where do you want to be in 3 months? Do you want to be…. Doing multiple stories off of one trip because it’s easy to search more potential outlets? In the same place you’re in now. Still struggling to find the valuable information you need for pitching success. There’s no shame in your answer, but if you’re ready to make your travel writing success easier, the choice is simple. “Before I started using the database, there was a pretty small number of magazines I was aware of. Pitching was happening very rarely. Between the database and Gabi’s lessons, pitching became really simple. I was surprised that it was so simple and formulaic. It felt really weird to pitch to someone I didn’t know. I felt like “It’s a waste of time but I feel like I have to.” But some people were interested right away! In the database, everything is laid out and searchable so there is nothing stopping you. There were also a lot of magazines in there I’ve never heard of and could never track down on my own. The value for the subscription itself is beyond. It saves you so much time. You don’t have to go to the bookstore and flip through magazines. It shows you so many magazines that most people don’t know exist and don’t know how to pitch. 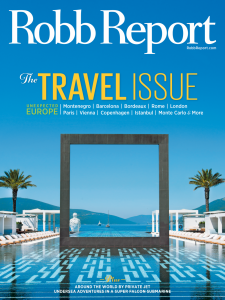 The Travel Magazine Database is a subscription based service. You’ll be billed $20 per month every month to maintain access. (Or $5 per month if you choose limited access.) There is no contract. If you join and don’t like it, you can cancel at any time and we will stop payments and remove you from the database. It’s just like Netflix or Hulu or any other online subscription. You can cancel on your own at any time with a click of a button. Q: Is this worth the investment? $20 per month or $200 upfront is a big investment for me right now as my travel writing hasn’t been very lucrative just yet! We totally hear you. In the beginning, it can be challenging to nail your pitches and get assignments. However, the only way to get better at this is with practice. All things considered, this database is a very low cost of entry at $20 per month. If all the database did for you was help you get ONE more paid writing assignment this year, it would have paid for itself. You are always welcome to start at the $5 limited access level. you’re giving up too easily. We can’t give you the nerve, but we can give you the WHO and the WHAT. The rest is up to you. We’d encourage you to use all of the bonus material we’re supplying and watch the introductory video on how to best use the database as well. The database does not include any custom feedback, support, coaching or matching — but if you use all of the provided materials you will have everything you need to nail it! And if you’re not getting assignments because you’ve subscribed to the database but you’re still not doing the work or sending pitches… well, then we can’t help you there! If you want to build a successful career, you have to be willing to put in the work. We do have one solution though. If you want to get paid for writing you have to go out there and ask for those paid assignments. I created The Travel Magazine Database to make that process easier on you. It will allow you to search magazines and learn who to contact, how to approach them, and what they specifically need for their publication – setting you up for a big, fat YES every time. It is almost like a living thing, in that it’s constantly being updated and added to. My dream is that every travel writer out there is able to save hours of time and land way more assignments as a result of this database. If you’re ready to take your travel writing career to the next level, this database and bonus bundle is here for you! Want to get started? Register here! Why Does the World Need a Travel Magazine Database? Hello travel writers and future travel writers! When I quit my job and started travel writing, I scoured the internet for lists of websites and magazines I could pitch travel stories to. Respectively, they paid $25 and $40. There was even a great set of posts created by students of the Matador travel writing program highlighting seven places they wanted to write. Even in here, I’d find the usual suspects or newsstand magazines I knew about but didn’t feel ready to pitch like Backpacker and AFAR. I pitched, I waited for responses, I wrote stories for those outlets, and then I waited for the articles to actually appear so I would finally have published travel articles to show to the world and for the check to arrive so that I could earn a living. In case you haven’t guessed, those last two things can take a long time to happen. Even online. And that’s a tough way to earn a living. 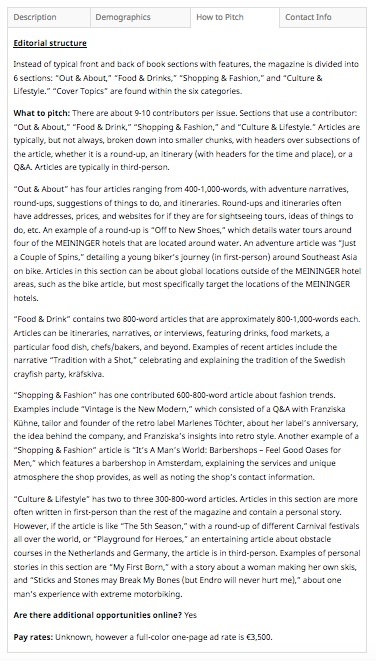 So I started searching the deepest recesses of the internet for travel magazines looking for stories, or at least, that had submissions guidelines outlining what they were looking for from writers interested in writing stories for them. I printed each one, stapled it together and put it in a neat file on my desk so I could read through them all and dream up stories to pitch. And pitch I did, and I got assignments from those opening shots (or second or third shots in same cases), but a pattern emerged. None of these places paid very well, and they often took a while to get back to me. It’s easy to extrapolate from here that travel magazines simply don’t pay well and that the editors are swamped and take a long time to get back to you, but then a curious thing happened. I went on my first ever press trip. We had an unexpected opportunity to tour Turkish tea plantations and production plants and sit down for tea with the head of Turkey’s biggest tea company in his wood-carving filled office scented with the fragrance of constantly steeping apple tea. When I came home, I knew there was a story here, and so I scoured the web for magazines about tea. I found a couple, but I couldn’t get my hands on copies, just the articles that were online. And I couldn’t find the editors’ email addresses, only info@magazine.com black holes. But I pitched them nonetheless, and never heard back. Months later, I found a magazine database (that is now sadly defunct). They had been collating all sorts of publicly available information about thousands of magazines for years. I was super excited to find new magazines I’d never heard of, but then I realized they also had those tea magazines I tried to pitch after my trip. And they had the direct email addresses for the editors. So I resent my pitch. Does Enough Access to Info About a Magazine Make All the Difference? I got a response in just a few minutes. And after some back and forth, an assignment from the tea magazine. And after some other emails, assignments from many other magazines I didn’t even know about until I discovered the database. But even when that database was still around, it didn’t give me everything I needed to get assignments. It gave years and years of a magazine’s editorial calendars, but it didn’t tell me what the names of the magazine’s recurring sections were and how they were formatted so that I could craft a pitch based on knowing what they’d covered in the past and what they would like to cover in the future. The contact information section gave me the name of just one editor—the editor-in-chief—who is not, unless the magazine is very small–the one that reviews pitches. Most importantly, it focused on magazines from North America for more general journalists—not the travel magazines from other English-language markets that I knew existed and weren’t getting a lot of pitches but I just didn’t know how to find. 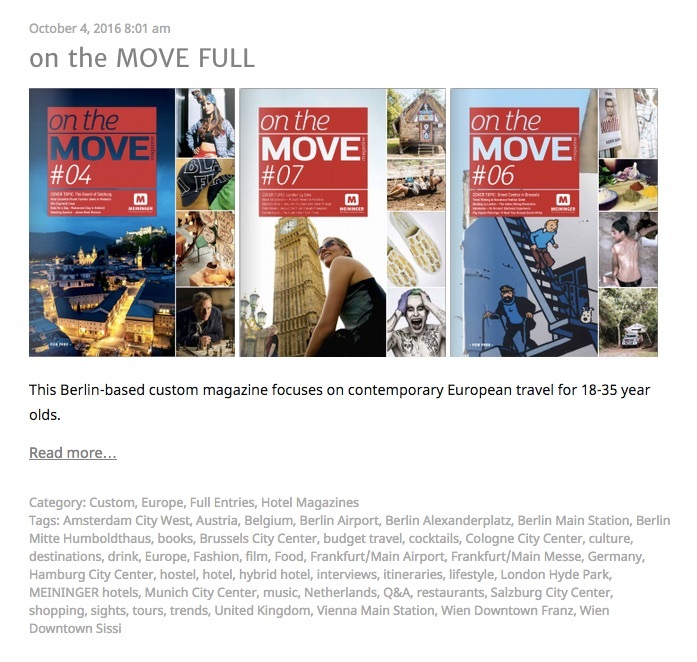 So, when I was traveling, I started to keep an eye out for interesting magazines or magazines that feature travel-related stories so that I could have my own personal magazine database. I picked up adventure travel magazines in Asia, dozens of in-flight magazines in Europe, and wine-focused pubs in Sonoma. That was more than seven years ago. These days, we’ve got so many magazines that I hide them in closets, under our coffee table, and under the benches at our dining table so our friends don’t think I’m a crazy magazine lady (the journalist version of a cat lady—keeping cats is far more expensive than keep magazines!). 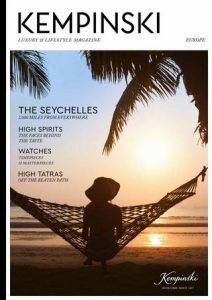 When I started coaching people to reach their own travel writing income goals, I wanted to give them access to all these great magazines that I knew about and few others did to help them get lots of fun, well-paying assignments from them as well. So I looked at my piles and my scanner, shuddered for a moment, and thought of a better way. Now, I’m excited to share it with all of you. Not just the huge stacks of magazines, but a processed form of them. My coaching clients have me walking them through how to analyze a magazine to ensure assignments and helping them identify what sections their ideas fit into. We’re going through all of our magazines and doing this work for you. My apartment is only so big, so we only have several hundred magazines in our hands at the moment. But that doesn’t mean that’s all you get! And if you prefer to check out magazines yourself and just need our help discovering new magazines to pitch you can also get limited access to all of our magazines for half the price of the full subscription. Take a look around at what we’ve been doing (here are some full entry samples to start with), and join us when you’re ready to take the pitching plunge and stop saying that you don’t have more travel writing assignments because you don’t know who to pitch. 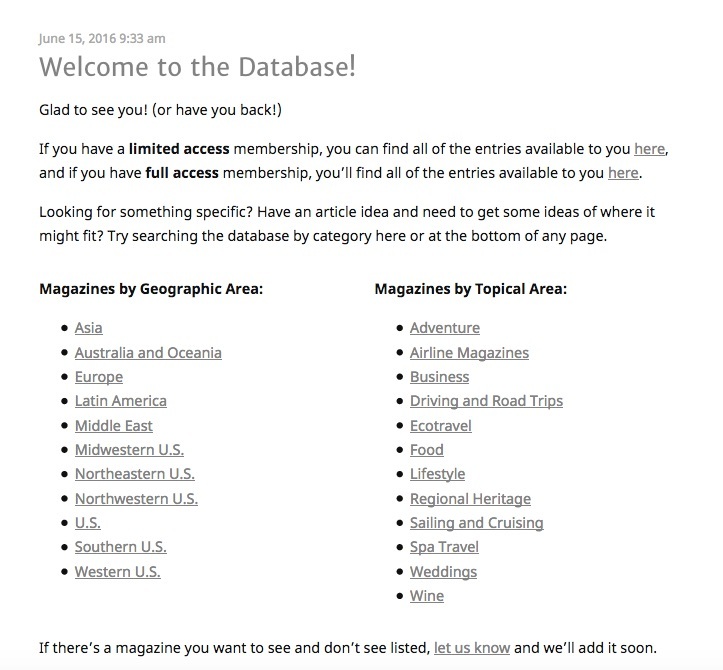 Upon logging into the Travel Magazine Database, you’re greeted with our “Welcome” page, which offers multiple options for exploring the database. On the “Welcome” page, we offer direct links to some of the most popular categories of magazines, both geographic distinctions and topical ones. As you continue scrolling down, you’ll see the posts most recently added to the magazine database. We add at least new magazines to the database every single week, so whenever you log in, there’s something new to find to fuel your pitches. Each entry is titled with the name of the magazine covered in the breakdown as well as the level of depth the entry goes into. The Travel Magazine Database includes two types of entries: limited posts and full posts. Full entries include detailed breakdowns of all sections of the magazines open to freelancers and what they cover along with more goodies we’ll show you below. In the scrolling view, you’ll see three covers of each magazine to give you a sense of its style and a very brief description of the magazine’s geography and topics, along with a full list of tags expanding on what the magazine covers generally and specifically along with the type of articles it features. If you see a magazine that looks close to what you need, but not the right geography or style, click on one of the tags to get pull up a full list of closely related magazines with a similar type of coverage. When you find a magazine you’d like more info about, click read more from the preview view to access the complete entry. Depending on the type of entry, you’ll either find four tabs (for full entries) or two tabs (for limited entries) of information about each magazine. Type of magazine: Whether the magazine is a consumer, custom, or trade magazine. More on what those mean is available in our FAQ here. Publication frequency: Whether the magazine comes out weekly, monthly, bimonthly, annually, or on a more irregular schedule. Percentage of travel content: The approximate amount (as it can vary per issue) of text in the magazine devoted to travel and travel-related topics that you, as a travel writer, could be interested in pitching. Language: If the magazine is published in an additional language besides English, we mention that here. If we determine that a magazine is primarily written in another language and only translated into English, we don’t include it in that database, as it doesn’t make sense for you to spend time pitching it! Publisher: The company that produces the magazine. Location of editorial: Where the magazine’s main editorial office is located, so you can keep the time zone in mind for deadlines and other time-sensitive communications. Website: The primarily online home of the publication. Editorial positioning: Directly from the horse’s mouth, this section highlights how the magazine differentiates itself in the market place. Read online: Where (if possible) you can find full issues of the magazine online to aid in your pitch prep. If these are only available with payment, we note that, otherwise everything listed here is free. We also include links to sample articles in the “How to Pitch” tab to illustrate the styles of the magazine’s departments and features. In the next tab, “Demographics,” you’ll find a wealth of information on the magazine’s readers. What we include here depends on the publication, and can include information about different regional editions, the age, wealth, and habits of the reader, and anything else we can find to help you target your pitches. Data points like the size of the magazine’s circulation can also help you in your rate negotiations. Also keep in mind that magazines that are highly targeted, particularly to big spenders, whether corporate travel managers or ultra high-end travels, also bring in more ad revenue and pay better than “larger” magazines with a more general audience. The “How to Pitch” tab is where the magic happens. This is where we take hours to break down every single section of a magazine, figure out which are open to freelancers, tally up the section lengths, list past examples of what each section has covered, and give you all the nitty gritty tools you need to make your pitches shine and show editors that you really get their magazine. In the “Editorial Structure” section, we lay out the names and frequencies of each section in the magazine, including the average number of features. 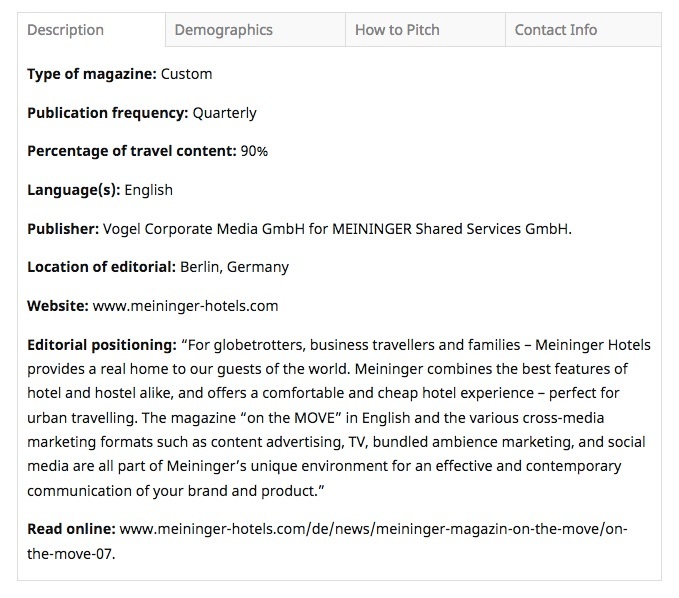 The “What to Pitch” section is where you’ll find details on each section listed in the “Editorial Structure” that is open to freelancers with the length and article style for each. At the end of the “How to Pitch” breakdown, we let you know if there are additional sections to pitch online, which, FYI, often pay a lower rate than their print counter parts, and what we’ve been able to discern about the magazine’s pay rates. For more information on the pay info situation and our special trick for finding out if a magazine is worth your time even without a listed pay rate, check our our FAQ. You get the cherry on top of the ice cream sundae in the “Contact Info” tab. 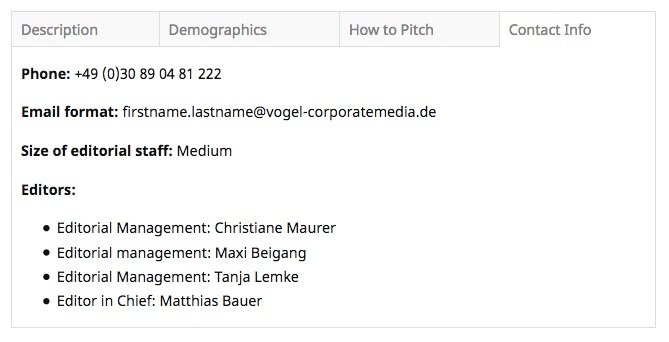 Here we not only give you the names of every editor relevant for your pitches, but also the exact email format so you reach out to those editors directly. Even if you have a full access membership to the database, you’ll still see many limited entries in your scrolling view. Any time you have access to a limited entry with a full access account, it means we haven’t yet put together a full breakdown of the magazine, but we want you to know about it and factor it into your pitching plans. Limited entries have two tabs, the “Description” and “Contact Info” sections. In the “Description” tab, the main difference is that we don’t include information on where to find full issues of the magazine online. In the “Contact Info” tab, we don’t include the email format for the magazine’s editors in the limited entries. Why do we analyze magazines? How do we analyze magazines? How many new entries are added to the database every month? How do I know if the information in the database is up-to-date? Why can’t I see all of the entries in the database? How do I know if I have a good story idea? How should I structure my pitch email? Why do we not list pay rates for many magazines? How can you tell how much a magazine pays? I wrote to a magazine listed in the database and they wrote back and said they don’t use freelancers (at all or for that section). Why do you say that they do? I wrote to a magazine listed in the database and the email bounced immediately or came back later as undelivered. Can you fix it? Why do we talk about how much a full-page ad in the magazine costs when we talk about pay rates? How can you tell which editor to pitch? What are trade, consumer, and custom magazines? Should I pitch a story before I’ve traveled to a destination? Should I pitch the same story to more than one magazine at a time? What about when a magazine says it doesn’t accept unsolicited manuscripts? Help! I’ve gotten locked out of my account from enterting the wrong password too many times. Can you let me back in? Why shouldn’t I just rely on magazines’ writer’s guidelines? One of the biggest complaints editors have about pitches they receive is that the writer is clearly not familiar with the magazine he or she is pitching. There are the comical editor horror stories about someone pitching an article about hunting one’s first chicken to a vegan food magazine or a report on local archeological digs to an interior design magazine. But more often than not, writers are pitching stories that sound—if you only know the title of a magazine—like they could be a fit, but if you took the time to dig into the tone and structure of a publication, would obviously be a little (or a lot) off of what the magazine actually covers. In a pitch, showing an editor that you understand his or her publication and its audience is more important than the idea you are pitching or your background—it’s what inspires an editor to write you back and encourage you to send more pitches rather than write you off. We’ve got a whole post on how we analyze magazines—and how we recommend you do it when you’re analyzing a magazine on your own—on our parent company site, Dream of Travel Writing. For every full entry here on the database, we work from a full copy of the magazine and double check all of the advice we’re giving you against the most recent masthead (the list of editor’s names) and media kit on the magazine’s website. We add new magazine to the database each week! Typically we aim to put up 10 new entries each month with a mix of magazines that are new to the database and those that we had in the past, but since they have have changed significantly, need an entirely new magazine breakdown created. Each month, the ratio of new magazines and newly updated magazines fluctuates based on what is going on in the publishing world. At times, do to work on the back-end of our site (WordPress just can’t stay the same for one minute, right? ), there will be a temporary pause of posting new content while work is being done. We back fill all of the posts on our editorial calendar into their rightful places once it is completed. Whenever we hear from a database user that has found an issue with the information in an entry, a member of our team investigates the issue, and then it is bumped to the top of the list for a full audit of the information in the entry. However, publishing is a volatile business, so sometimes things change quickly. We’ve even found while working on the database that we may write a full breakdown of a magazine only to find out that it is ceasing publication the next month. Whenever we find out updates like this, we incorporate them into the database, and we’re adding more ways to capture more updated information everyday. If you have an issue with a magazine section, email address format, or editor’s name, let us know! We’ll look into it right away, get back to you with the updated information, and update the entry for others. For each magazine, we provide links to the magazine’s website (limited entries) or the magazine’s website and a full copy of the magazine (full entries), so that you can reconfirm what we’re telling you before you pitch. But you can always tell when we last rewrote the full breakdown by looking at the database entry’s publication date. There are two types of database memberships: limited and full. If you have a limited access membership, you will only have access to limited entries. If you have a full access membership however, you will see full entries for some magazines and limited entries for others. The limited entries you see are for magazines that don’t yet have a full breakdown, and the limited entries you don’t have access to correspond to magazines that have full entries, which you should be able to access. A “good” story idea is a completely moving target, but it always depends on one thing: that the idea exactly fits an existing hole in a magazine. There is no such thing as a good article idea independent of a place for it to be published. We can go through databases in which freelance writers anonymously self-report what magazines have paid them and places where editors self-report what their rates are, but the unfortunate truth is that these things often have little relationship with the rate that any particular writer will get when receiving an assignment from a magazine, and even less to do with how much a writer who pushes for more money may receive. To help with the fact that most magazines simply won’t be clear about their pay range because they want to get articles for at the low end of their pay range as much as possible, we have created a handy (though a little sneaky) metric for ballparking how much a magazine pays writers and whether it is worth your time. We go through magazines and check each byline against the masthead to see if any are staff members. Names which aren’t on the masthead could be freelancers. To be sure, we check each person’s LinkedIn, social media platforms, and websites to verify that they are freelancers and don’t work for the magazine full time. We check at least two issues, often more, to verify that the sections are definitely open to freelancers and this isn’t a one-off and that one freelancer doesn’t write the same section each month. The editor is lying, because they don’t want to work with you based on something you said in your pitch that rubbed him or her the wrong and can’t own up to coming right out and saying it. They’re mostly responding to you at all just to keep you from following up (again if they’ve responded to the follow up) or sending new ideas. We know the second item above does sound more far-fetched than the first, but, unfortunately, we have seen some writers forward us emails that are clearly of this nature in 2018 (it seems to be a new trend). How do we know this is what’s going on? In these emails, the editors are saying this that, while sound professional, are subtly mocking things from the writers’ pitches. It’s really not cool, and editors at top-tier, amazing publications that we know personally would never do such a thing and find it just as appalling as we do, but unfortunately, this has become a real issue, so you should be aware it’s out there, and make sure you are sending the absolute best pitches you possibly can. Yes! If this happens to you, please write to us immediately (or, if you wouldn’t mind, forward the email you received as this can be very helpful in investigating the issue). Whenever we hear about an issue with an entry from a database user, we bump that up to the top of the list for review. Check out our handy pay rate estimator trick here. In small magazines, with an editorial staff of four or fewer, the editor-in-chief is often the one accepting pitches. In huge newsstand magazines, like Travel + Leisure, there is absolutely no point in writing to the editor-in-chief and often several levels below him or her as well. You’ll need to go to an assistant editor or section editor with your pitch. Mid-sized magazines use titles in unpredictable ways, sometimes having an assistant editor, associate editor, editorial director, and editor-in-chief with the assistant editor functioning more like an editorial assistant (i.e. no decision making power), and the editorial director handling projects but not necessary magazine assignments. 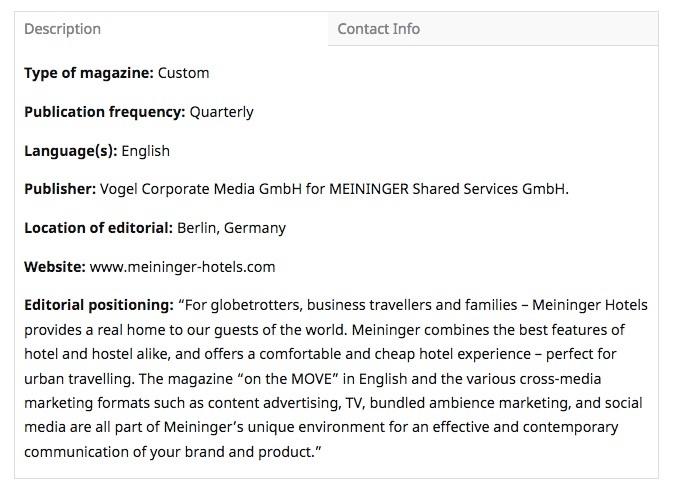 One of the fields in our main magazine overview classifies magazines as trade, consumer or custom. Trade magazines are not available to buy on the newsstand or online. They are delivered to a qualified circulation of people who work in a particular industry. 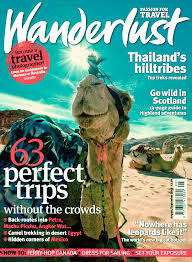 In travel, there are many different areas of trade magazines, from magazines for travel agents to people who run hotels to people who plan group tours. Consumer magazines are available in the bookstore, airport, and other newsstands, and these are the travel magazines you are probably most familiar with. They include major titles like Travel + Leisure and Conde Nast Traveler as well as smaller regional pubs like Edible Columbus and New York Family. If that made you nervous just reading the phrase “how sure you are that you will be able to deliver,” the answer is probably no, but we’ve got a whole post about when you should and shouldn’t pitch before your trip. Yes! Absolutely. But not the exact same wording. Magazine editors need to know that you understand their publication and audience, so you should reslant each pitch you send to make sure that your pitch resonates with each editor. And when your story gets accepted, make sure to let the other editors you reached out to know that the story has been picked up elsewhere. The only time I don’t advise doing this is when you already have a relationship with a magazine. Let that editor have priority and follow up before you submit the idea elsewhere. Being flexible in this way not only shows the editor you are a professional, but also gives you more of a chance of being published. If you do not know your password, make sure to use the lost password function so you are not locked out from too many erroneous log-ins. Select the option to cancel your account. If you enter an incorrect password more than three times when attempting to log in to the Travel Magazine Database, your IP address will be locked from accessing the database for two hours. If you don’t know your username, that’s not a problem. Try to log in with the email address your account is connected to instead. We’ve see accounts set up with some incredibly creative (and hard-to-remember-looking!) usernames, but you can avoid having to remember your user name by logging in with your email instead. Make sure you are using the correct email address to access your account. The email address connected to your account is the one you originally received you receipt. We know many people have a plethora of email addresses these days, and we’ve seen people get locked out and unable to use the “Lost Password” function simply because they are trying to access their account with a different email address. Make sure you have received a receipt for your original database purchase. We have seen individuals input the characters of their email address incorrectly, so when they try to log in with their actual email address, it doesn’t work, because their email address is mispelled in their Travel Magazine Database account. If this is the case, email us and we will correct the email address in your file. If you’ve enterted the incorrect password twice, immediately use the “Lost Password” link to reset your password rather than try again and potentially lock out your IP address. If you’ve hit the lockout limit, the IP address you previously used will be restricted from logging into the Travel Magazine Database for two hours. That means that you can try again from a different IP address right away if you have an editor’s email address or magazine section you need to see right away. We recommend accessing the site from your phone (on the cell network as opposed to Wi-Fi, as your Wi-Fi IP address is what is affected by the lock out, and doing an immediate “Lost Password” reset. Every time we put together or update (or even audit to see if we need to do an update!) a magazine breakdown, we write the magazine’s editors to ask for their writer’s guidelines. To make sure the email address format we found works. To see if the magazine has any specific proclivities in terms of how it accepts pitches. A good portion of the time, the magazine doesn’t have writer’s guidelines. We’ve met magazine editors who know that their magazine has guidelines somewhere, but they honestly don’t know what they say. Editors don’t have time to keep those things updated!—and this is from the horse’s mouth. That being said, when we do get writer’s guidelines back, about 93 percent of the time, everything contained in them is best pitching practices, such as familiarizing yourself with the magazine, explaining why you are the best person to write the piece and making sure you are pitching a story rather than a topic. When we do see something in the guidelines that is specific to that magazine rather than general best practices, we include it at the bottom of the “How to Pitch” section, just above the pay rates and online opportunities. Each of our breakdowns include the information you wish was in the magazine’s writers guidelines that the editors don’t have the time to write up for you, like the tone and voice of each individual section of the magazine and examples of what stories have been published in each section in the past. We have had editors thank us for taking the time to put this together to help writers send them better pitches, and it does take time. Folks doing this kind of breakdown on their own typically report between three and five hours per magazine breakdown, once they get their hands on enough copies to analyze.